If anyone wants to be a guest blogger here at Kids Math Teacher simply fill out the form in the tab above and I can add you to the schedule. Thanks again Tara! A big idea in the Common Core State Standards for second grade is being able to understand place value and read and write numbers up to 1000. Arrow cards can be an effective and fun way to accomplish this goal. You will need arrow card blacklines. Print or copy them onto cardstock or, if you have a magnetic white board or other large magnetic surface, it can be really beneficial to print your arrow cards onto magnetic printer paper . You will see in many of my pictures I have magnetic arrow cards. They do need to be printed on an inkjet printer, not a laser one! The other benefit of using magnetic ones is that they stick to each other quite well. I have a set that is magnetic for use with whole group instruction and another set that is printed onto laminated cardstock that I use for small group or individual instruction. There are several different styles of arrow cards available for free online and the ones I linked to earlier in this post do not match the ones you will see in the pictures. I start this routine lesson by placing each arrow card out one by one and having kids read them to me. This should be easy and fluent for kids before you begin combining the arrow cards. If reading these numbers is not yet fluent for your students. Practice them before moving on with these activities. After I have ensured all kids can read the numbers on each arrow card, I start to show them how I combine them to make other numbers. I start by showing them two separate arrow cards and having them read each one, then I put them together (arrows always go on top of each other) and have them read it as one number. This is what it looks like when the 40 and the 8 arrow cards are placed on top of each other. Arrows always go together. I start with making 2 digit numbers and I avoid the 10 until I have done a bunch of other combinations. The reason for this is that 10 does not follow the rules. When I do 48, the kids see and say forty than eight. When I push them together, they say forty-eight. The ten and some more numbers (teen numbers) are the only ones that don't follow this rule. Let's say I grab the 10 card and the 6 card. Reading them separately would be ten and six. When you put them together, you will hear some kids say ten-six. This is a great time to talk about how 16 really does mean ten-six but that we say them a different way. Ask kids to help you find other numbers (all of them will be between 10 and 20) where this works. 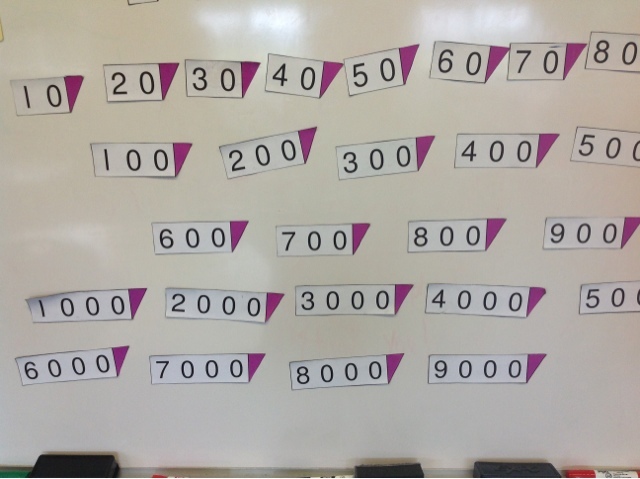 When kids have this idea, it is time to move onto hundreds. Again I start with two or more separate cards and have kids read them and then put them together and have them read it again. Numbers like 103 are supposed to be learned in first grade under the Common Core. Of course, this is one of the most challenging numbers for first graders to read and write so you can almost guarantee that you will have kids at the beginning of second grade who need more practice with this idea. 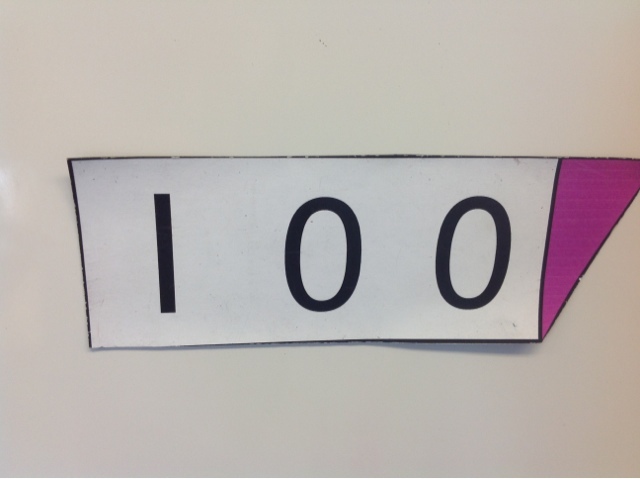 I love the way the arrow cards really demonstrate why 103 is not written as 1003. 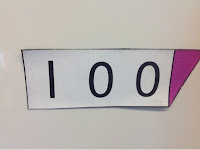 There will often be a kid who points out that the 3 is hiding one of the zeros. This is a big idea and worth exploring if someone brings it up. As kids get more fluent with reading the numbers apart and then together, I might switch things up on them and show them a number that is put together and then pull it apart to "check" their thinking. For this one, I had kids close their eyes and I chose three number cards off the board. I had them open their eyes and whisper the number to a partner. I then pull the cards apart to check if they are right. 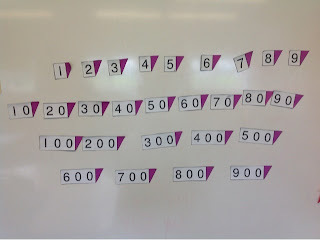 When I pull the cards apart, not only can kids see they are right but this leads right into a discussion on expanded form (which also happens to be a second grade expectation in the Common Core) I put the numbers on the board in a pulled apart fashion and connect them with addition signs. After 1-2 whole group lessons on these ideas, kids really seem to get it. I often do 1-2 more small group or intervention lessons on kids who are still struggling and will sometimes pull the arrow cards out later in the year for a quick review. Kids have a lot of fun with these and are usually happy to use the cards again. If you have computers in your room, this game and this game are great ways to let kids practice with arrow cards independently. I also use the arrow cards in Kindergarten, first, third and fourth grades. I just vary the range of numbers I use and the speed at which I go through the routine. Here is what my set up might look like in K or first. In Kindergarten I might even restrict the numbers further but I never EVER start with the teen numbers. I always save them for last. 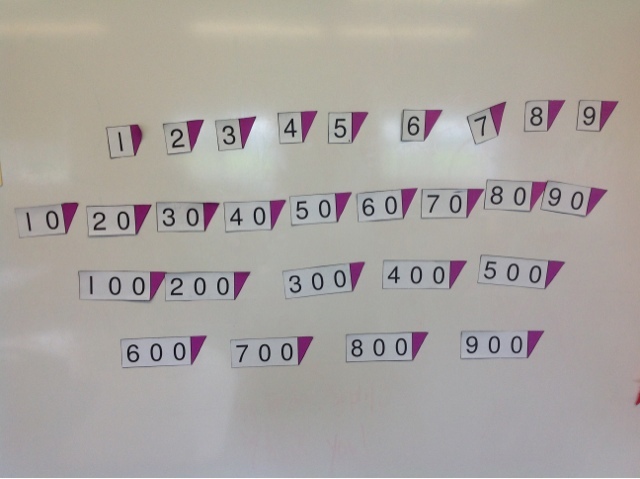 If you want to read more about using arrow cards in the classroom, check out this article from Education World or this resource from NZ maths. 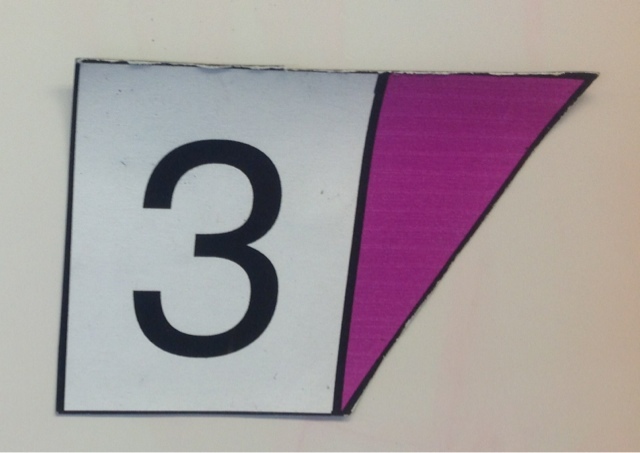 Have you ever used arrow cards in your classroom? Are they something you are thinking about trying? I love this way to teach numeracy!! Have you used more from NZ Math? I am very interested to learn more. How do you teach 1-20? Any help is great! !